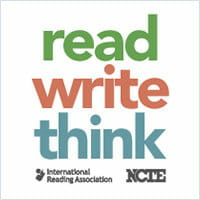 If you're looking for a fun way to entertain the whole family during the holidays, the "Read Write Think" website is what you need! It allows you to create custom crosswords puzzles! Read Write Think is an easy to use websites with several options! Children and adults alike, will have fun using this online service. For children, this is a perfect opportunity to improve their vocabulary and begin to prepare for the new school semester. For parents, this is a good way to have fun by creating original crosswords puzzles. Once on the site, simply choose the level of difficulty and click on "Create Your Own". You can then enter the words that appear in your grid and clues/tips. Once your puzzle is created, click on the Print button. Published by deri58. Latest update on August 9, 2013 at 06:12 AM by deri58. 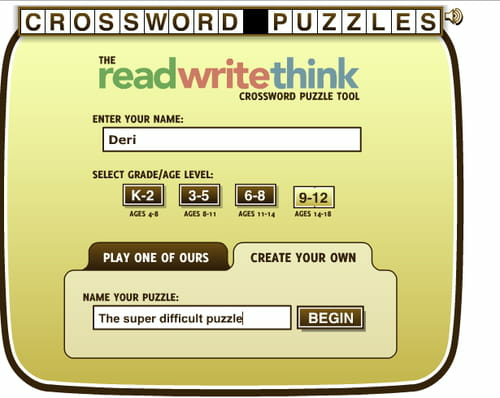 This document, titled "Read Write Think - Create your own crossword puzzles," is available under the Creative Commons license. Any copy, reuse, or modification of the content should be sufficiently credited to CCM (https://ccm.net/).